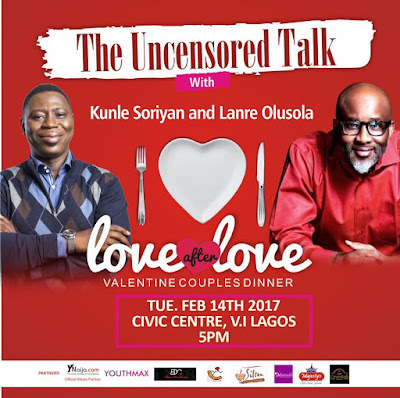 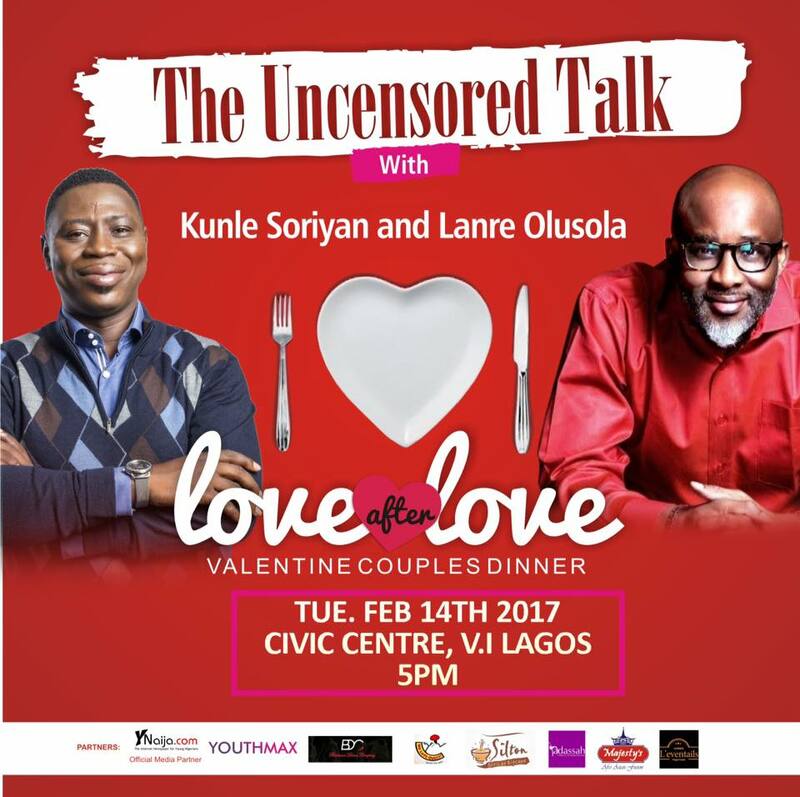 Its that time of the year again when you want to show extra special care to your spouse or significant other by giving them a treat and the Love After Love event organised by Merchants of Romance has got you covered. 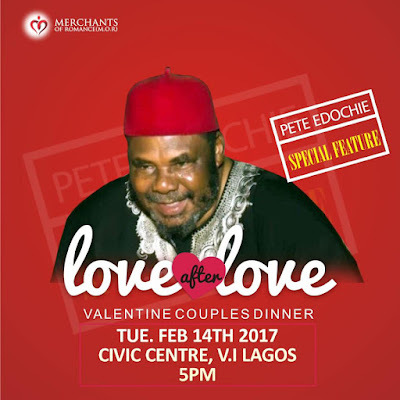 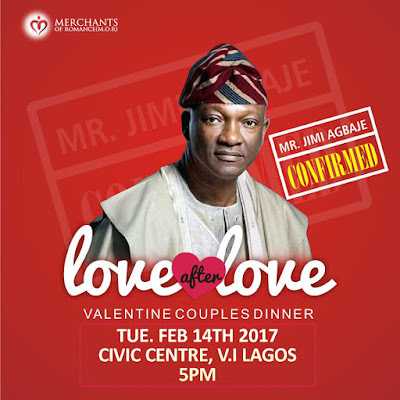 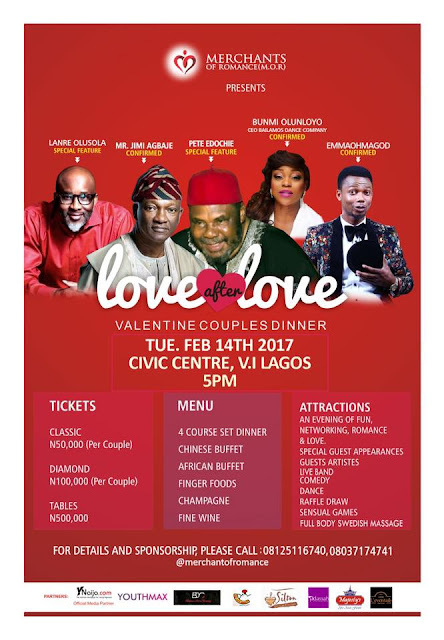 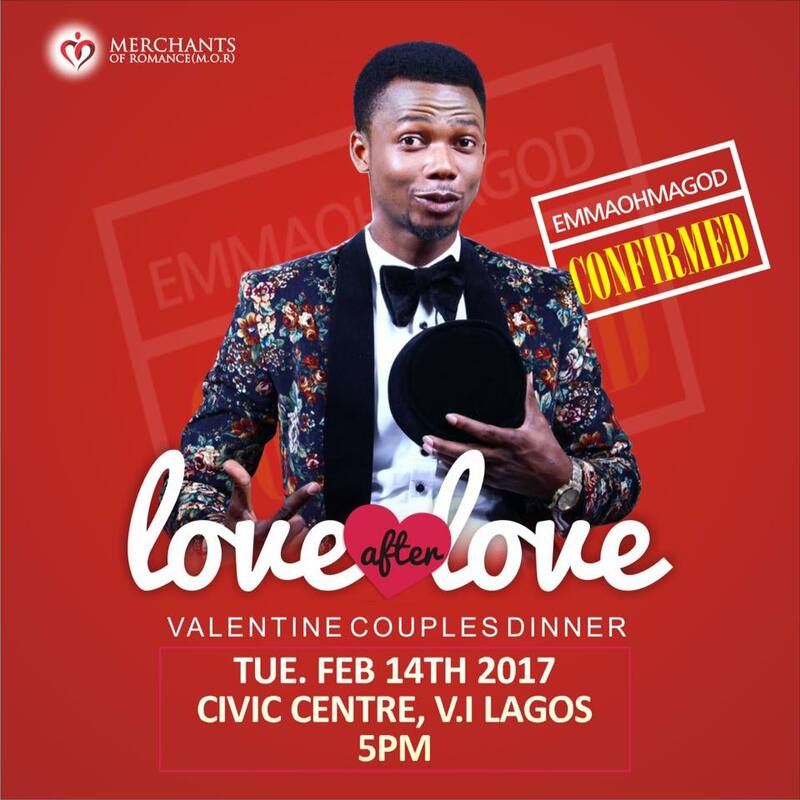 The exclusive dinner tagged 'LOVE AFTER LOVE' promises to be a night of overwhelming Fun, Unlimited food, Networking, Romance and Celebrity appearances by veteran actor Pete Edochie, Jimi Agbaje, Lanre Olusola, Kunle Soriyan, MC Abbey and Bunmi Olunloyo with comedian of the year, EmmaohmaGod as the Mc of the night. There will also be various sensual games to ignite the fire like kissing competition, renewal of vows, re-propose to your spouse, Gele Competition and more! 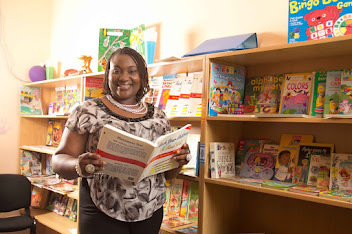 It gets even better as there will be FREE creche services for those with little children so there won't be any headache as to where to keep them. 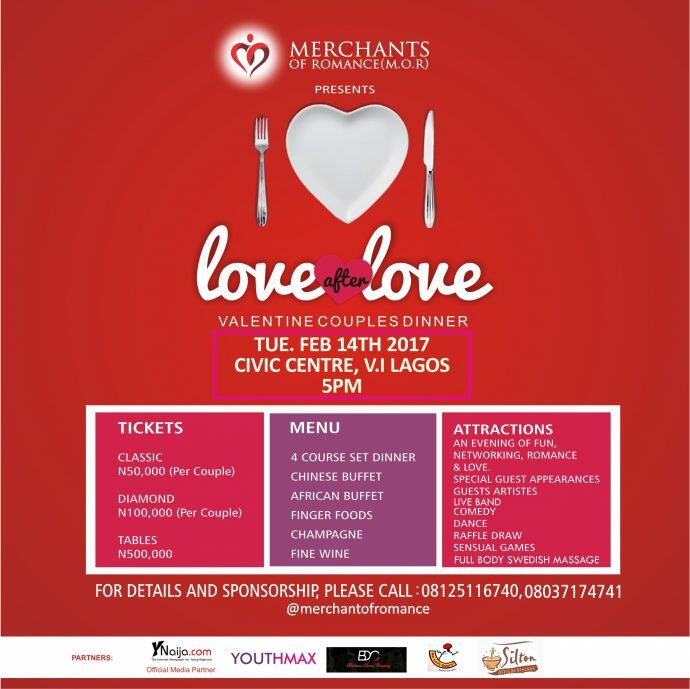 LOVE AFTER LOVE Valentine couples dinner promises to be full of quality pampering and fun with scrumptious 4 course meal and a live band with performances from special guest artists. 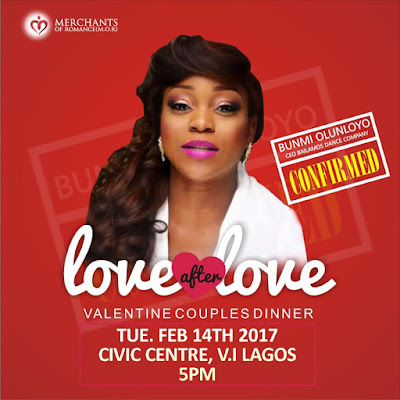 P:S For a cool 10% discount mention the name Aunty Bimbo....you can thank me later!